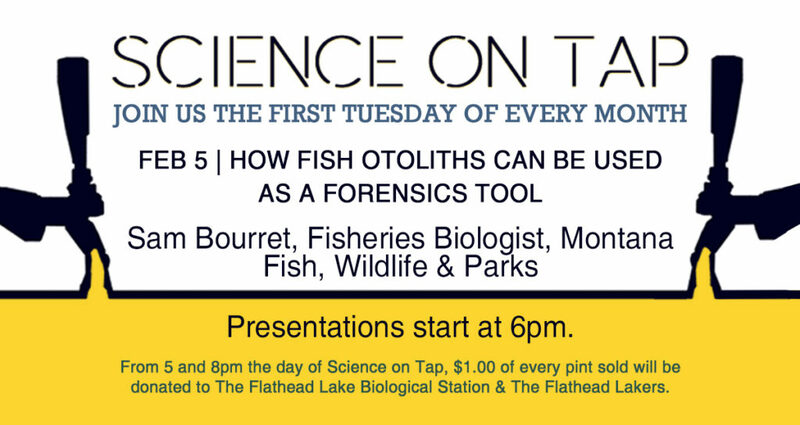 Join us on February 5th at the Flathead Lake Brewing Co. Pubhouse for our next Science on Tap-Flathead event! Sam Bourret, Fisheries Biologist, Montana Fish, Wildlife & Parks, will discuss how fish otoliths have been used for over 20 years to help understand fish migration, stock composition, and natal origin, and how they can also reveal important information about illegally introduced fish. Your $5 tax deductible donation tickets reserves your seat in the Imperial Room. Get your ticket here. 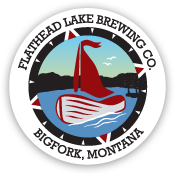 From 5 to 8pm the day of Science on Tap, $1.00 of every pint sold will be donated to the Flathead Lakers & the Flathead Lake Biological Station.